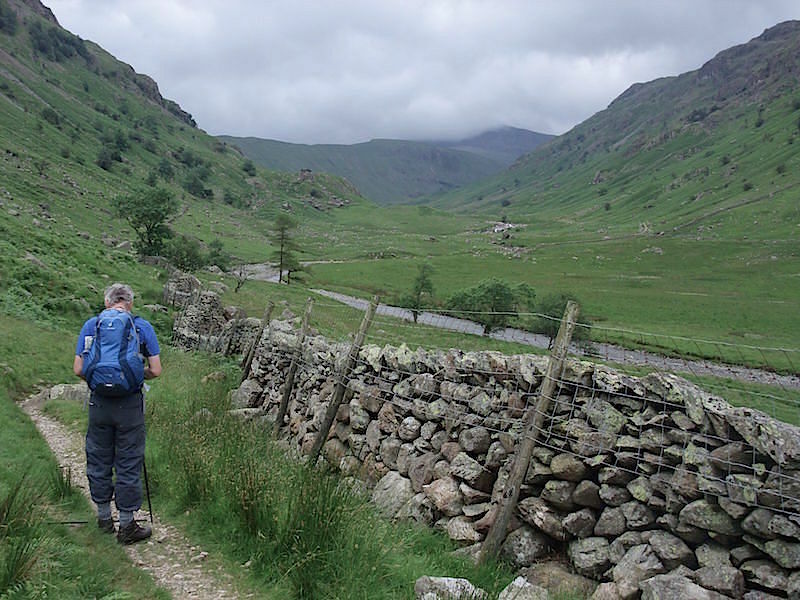 A view of Eagle Crag under grey skies as we walk along from Stonethwaite towards the valley of Langstrath. 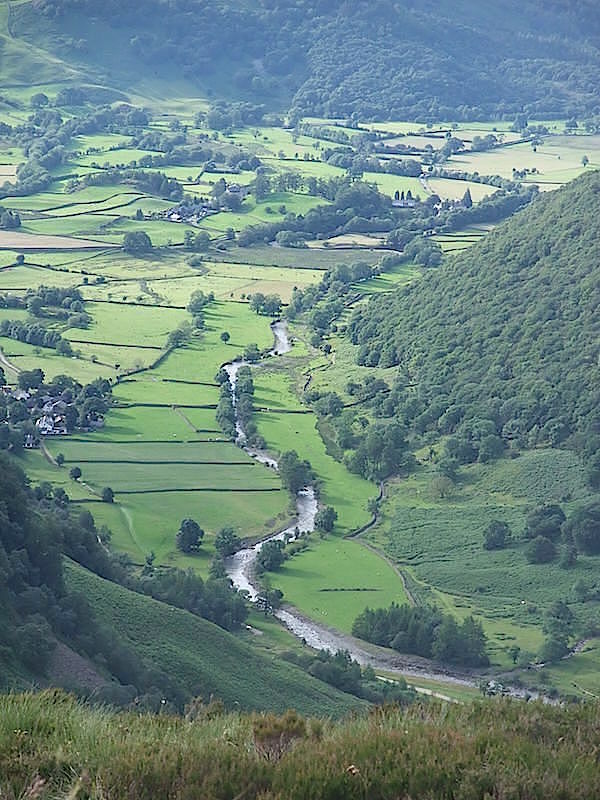 There is a path on each side of the beck but for no particular reason we crossed over to walk up the left hand side one, its a long valley and the view doesn’t change very much. 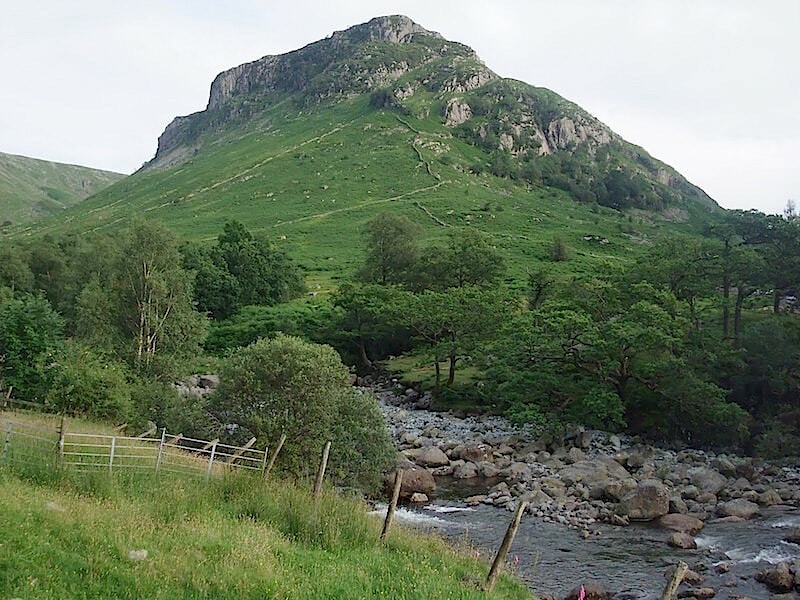 Blea Rock complete with green hat. 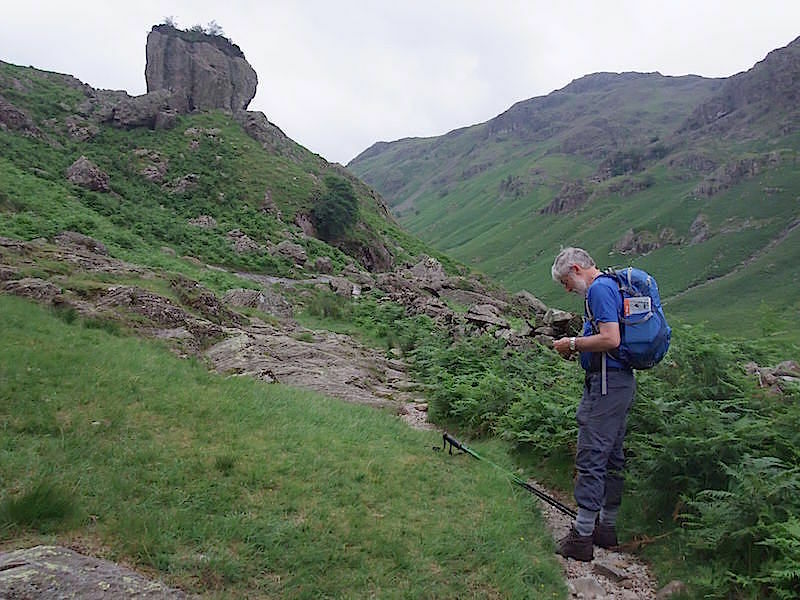 The gps seems to be getting a lot of attention today. 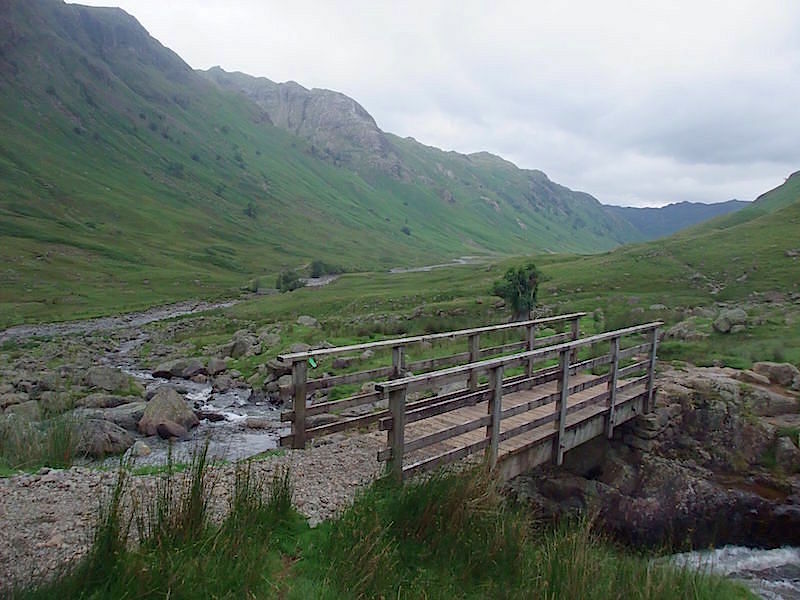 Looking back down Langstrath from the bridge at the bottom of Stake Pass. 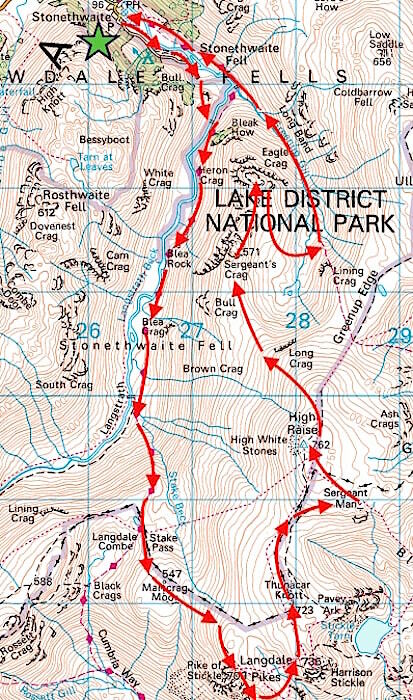 The Stake Pass path climbs alongside the cascades in Stake Beck. 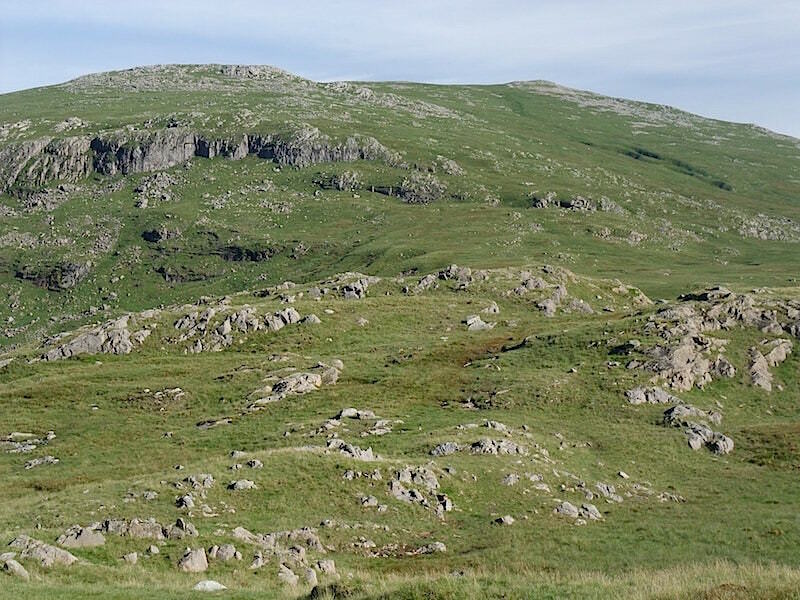 From the top of Stake Pass a close up of Sergeant’s Crag, the penultimate fell on our walk today. 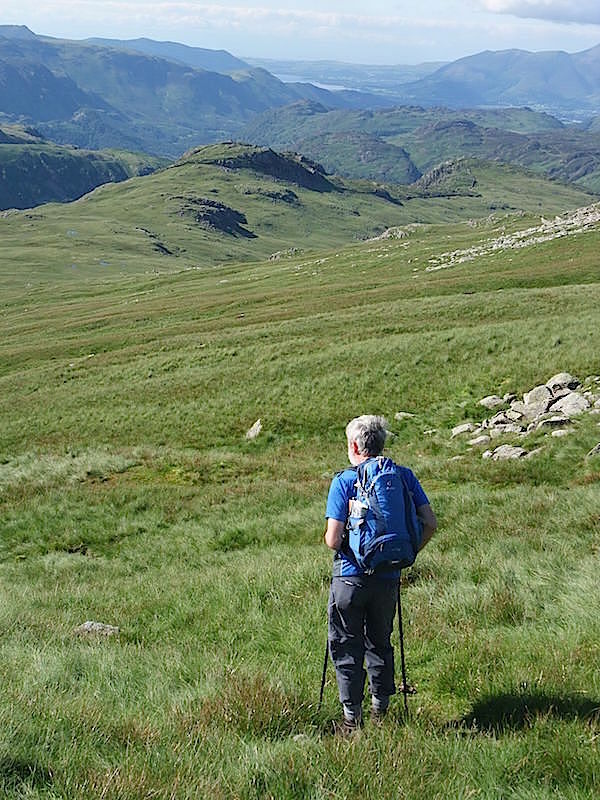 Looking over to Bowfell as we make our way along Martcrag Moor. 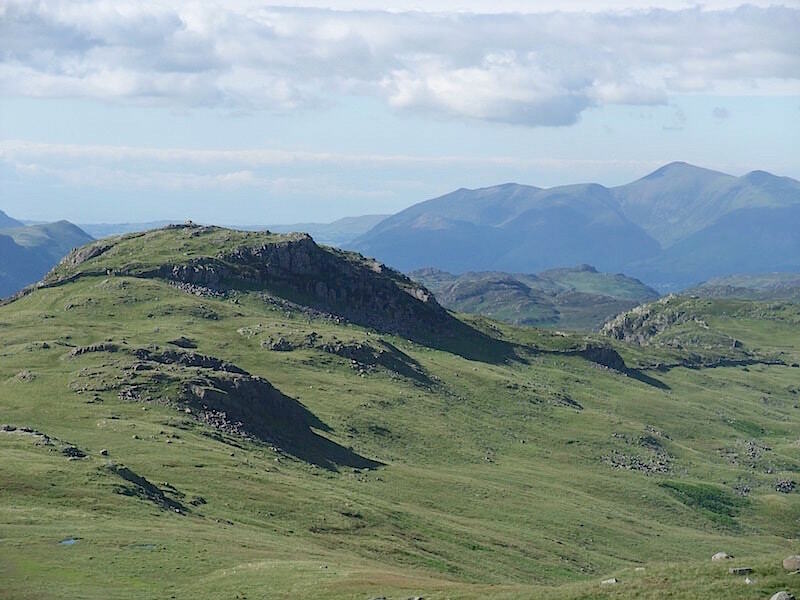 Crinkle Crags from Martcrag Moor. 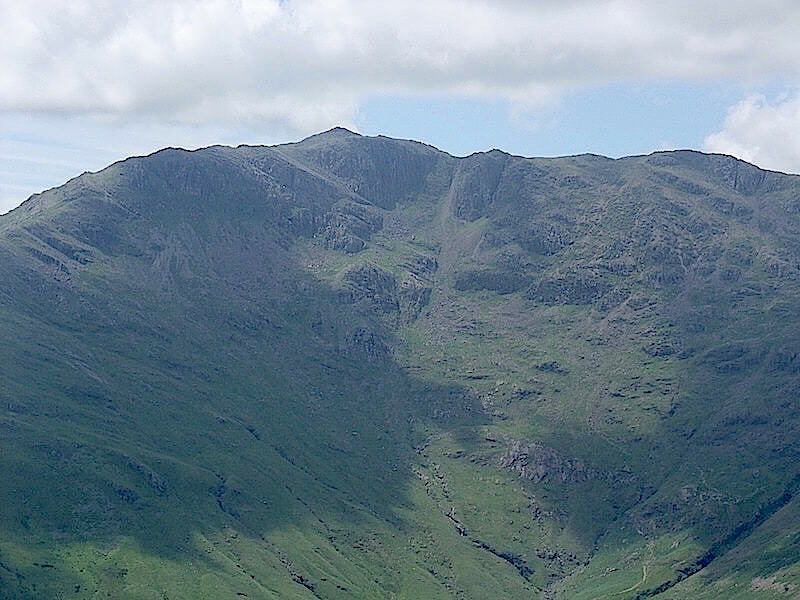 Great Gable dominating the centre of the skyline. 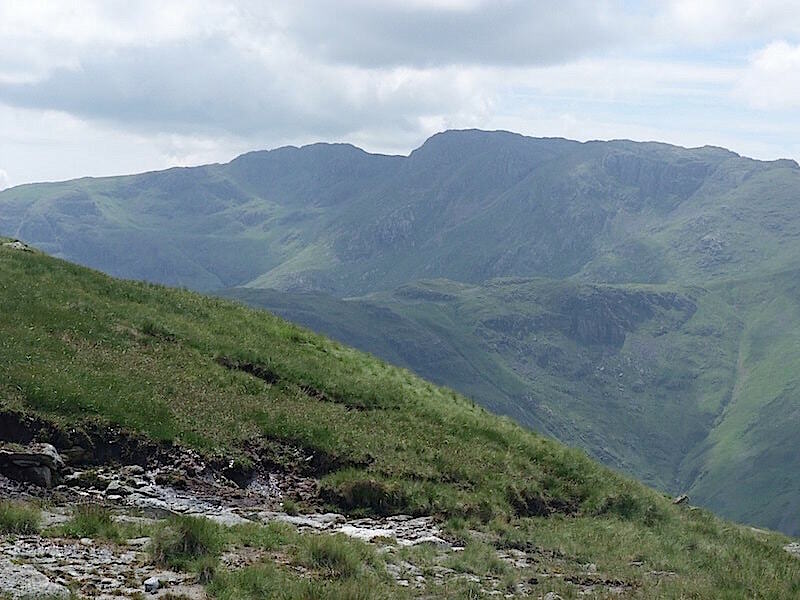 Over on the left enjoying some sunshine is Scafell Pike, the clouds are breaking up and its getting very warm now. 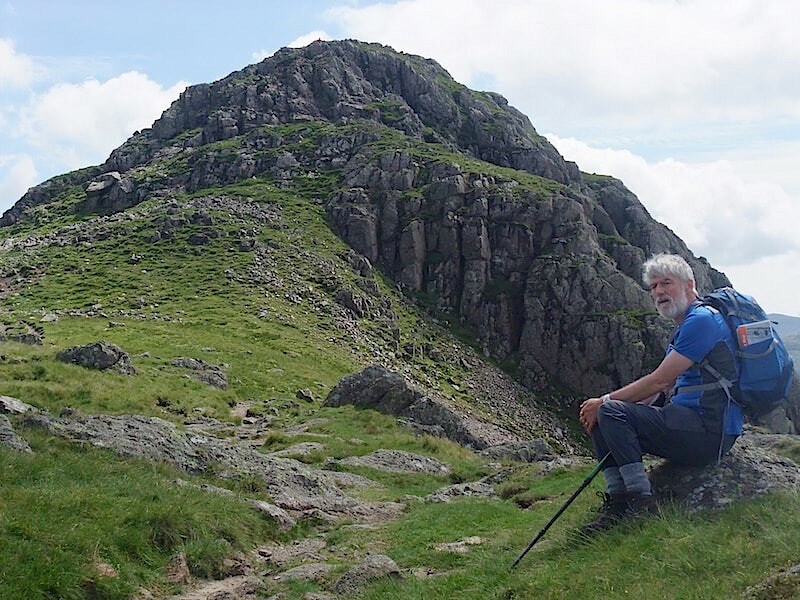 Having a breather below Pike O’ Stickle. 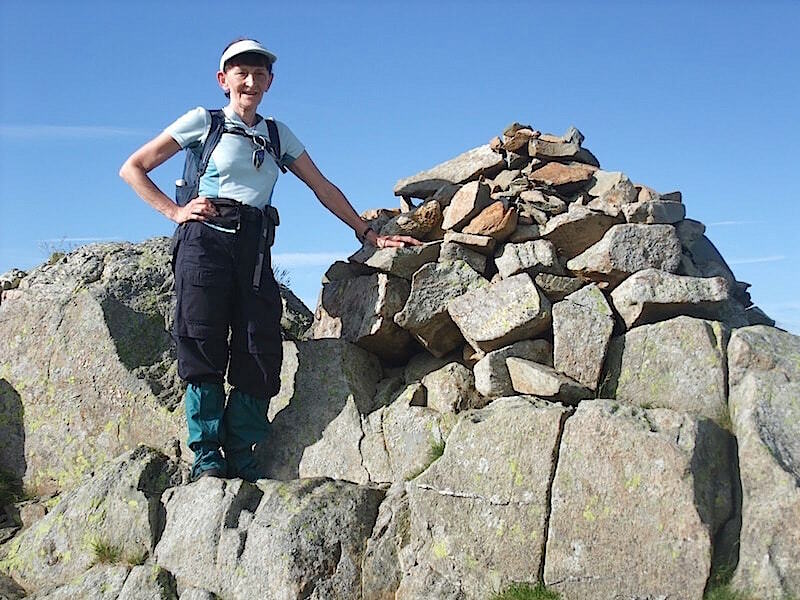 Pike O’Stickle summit with High Raise behind my head and Thunacar Knott over to the right. 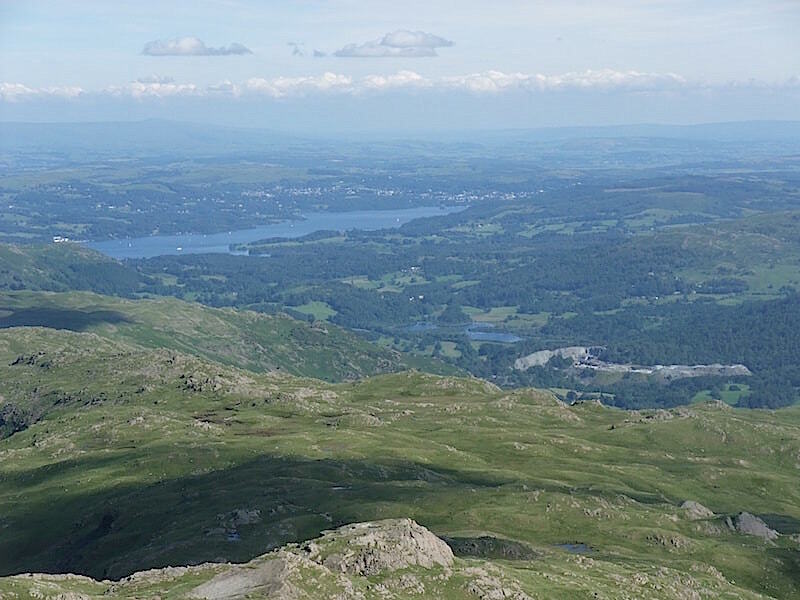 Loft Crag, with Windermere behind it, from Pike O’Stickle. 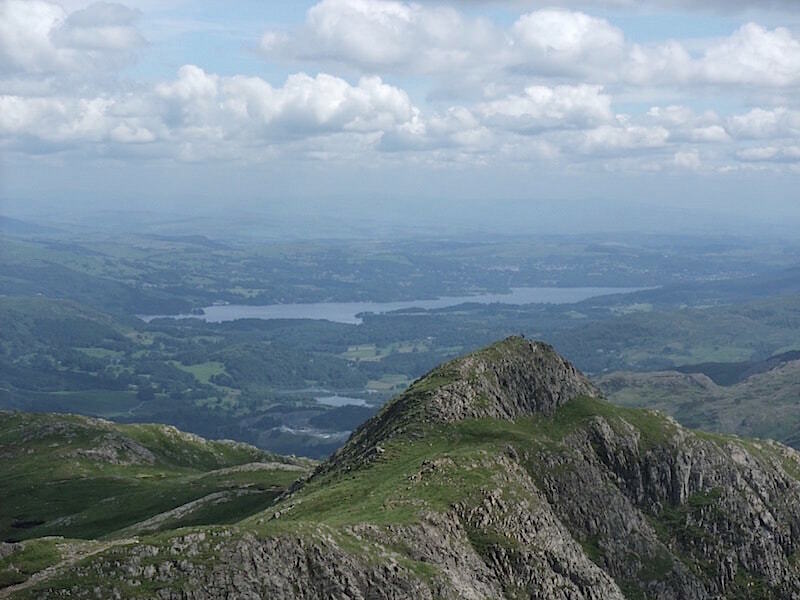 Looking over to Harrison Stickle from Pike O’Stickle. 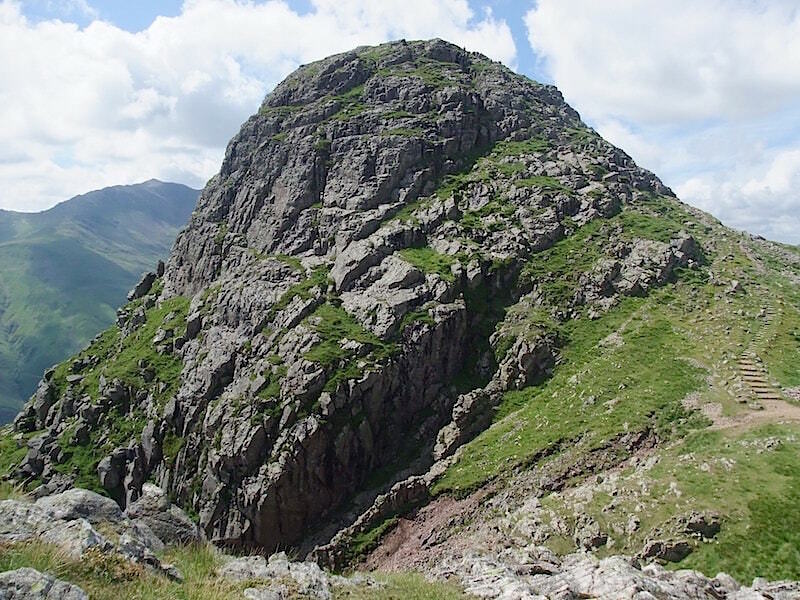 A look back to Pike O’Stickle as we make our way over to Loft Crag. 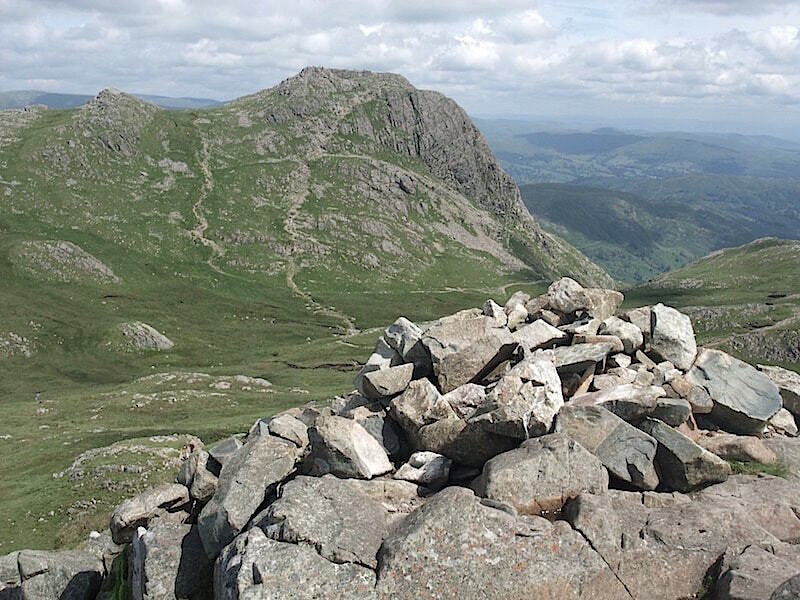 From Loft Crag we made our way over to Thunacar Knott from where I took this shot looking over to Sergeant Man, that’s the rocky, pointed one on the right just below the skyline. 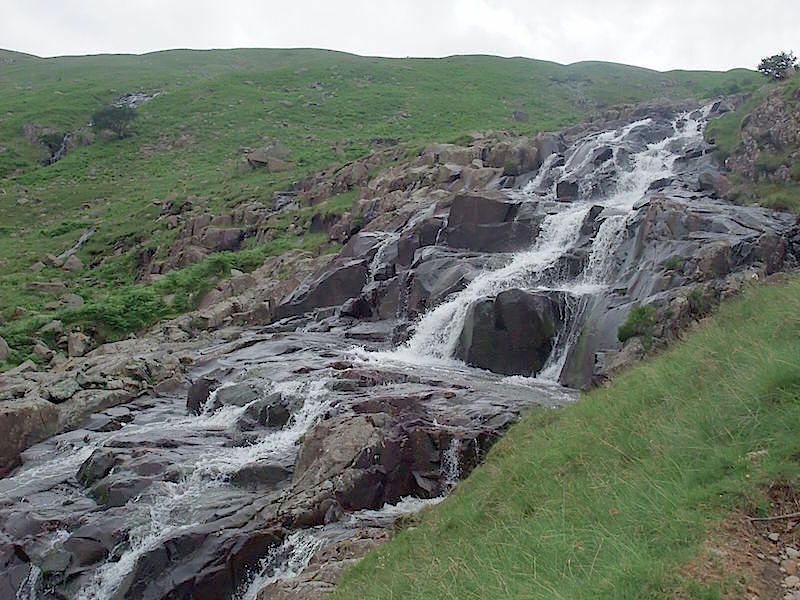 Passing one of the many tarms and pools on the way from Thunacar Knott to Sergeant Man. 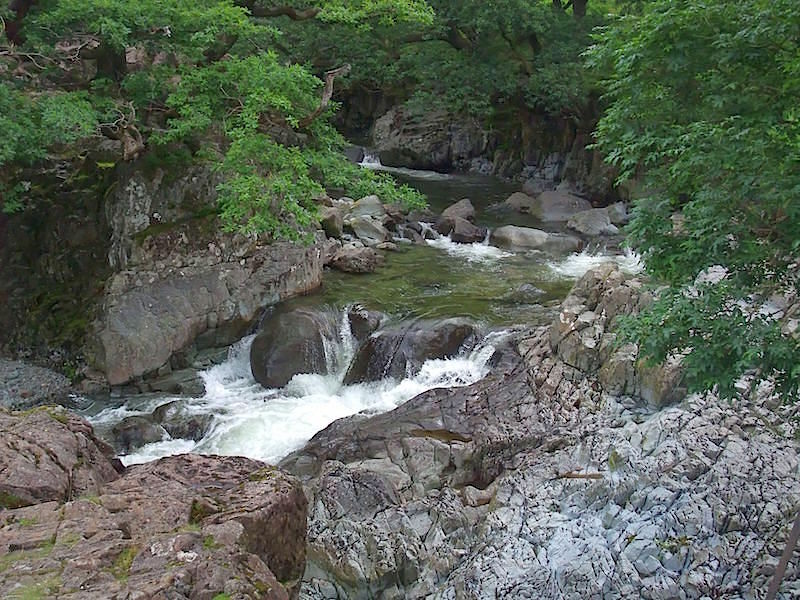 The general wetness of this area is the reason I’m still wearing the waterproof gaiters. 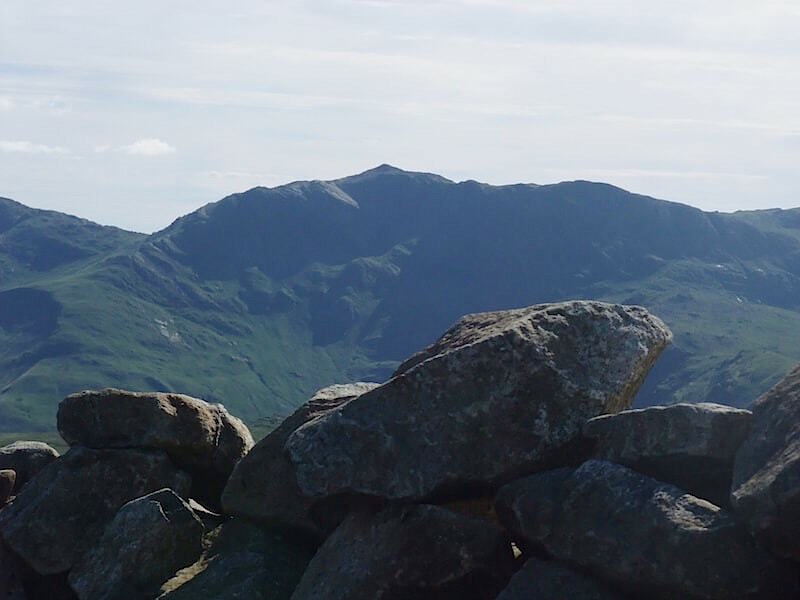 Great Gable dominating the skyline again. 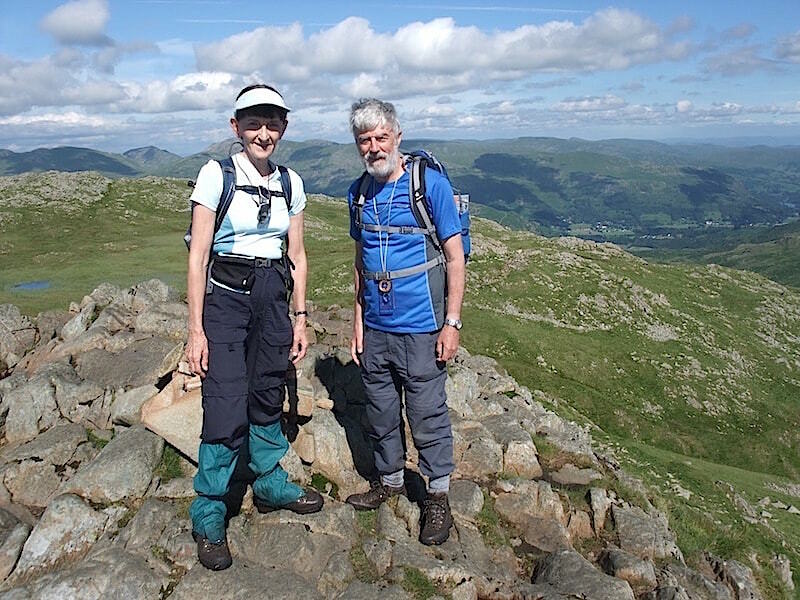 The two of us on the summit of Sergeant Man. 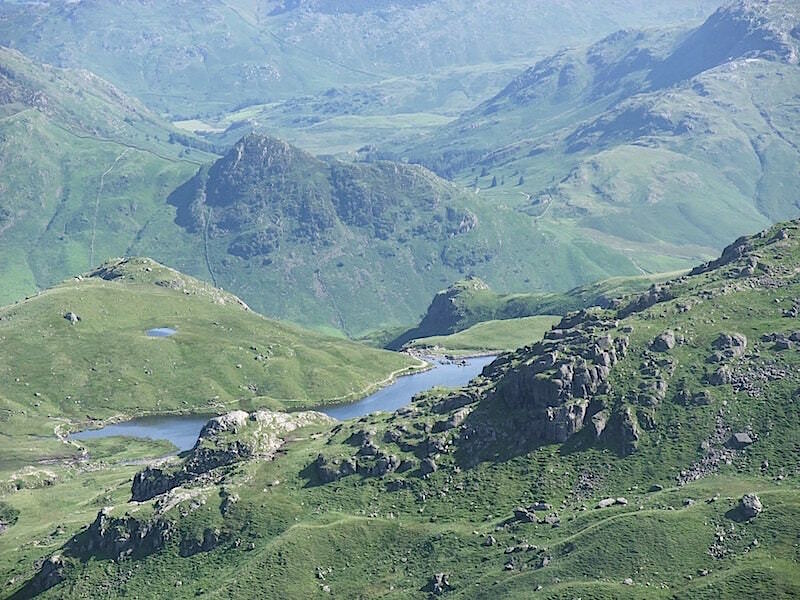 The view down to Stickle Tarn from Sergeant Man summit. 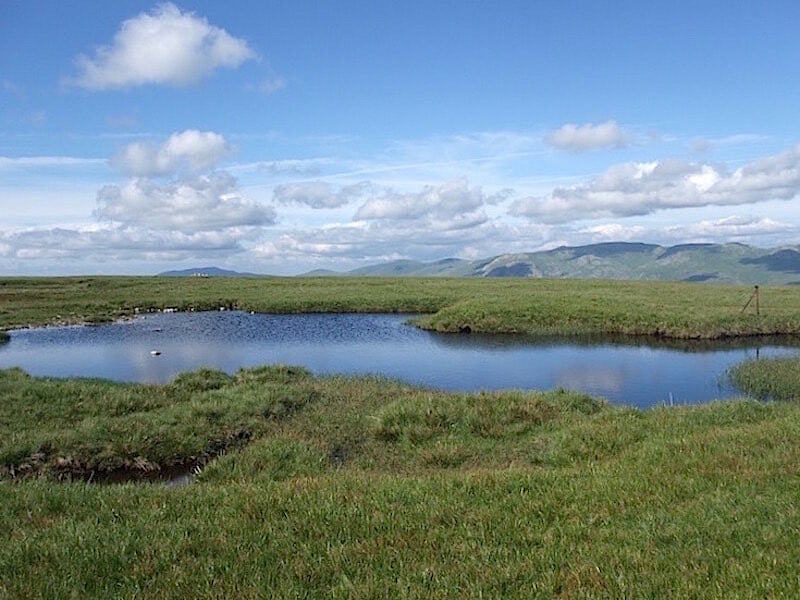 Back among the tarns and pools again as we walk over to High Raise from Sergeant Man. 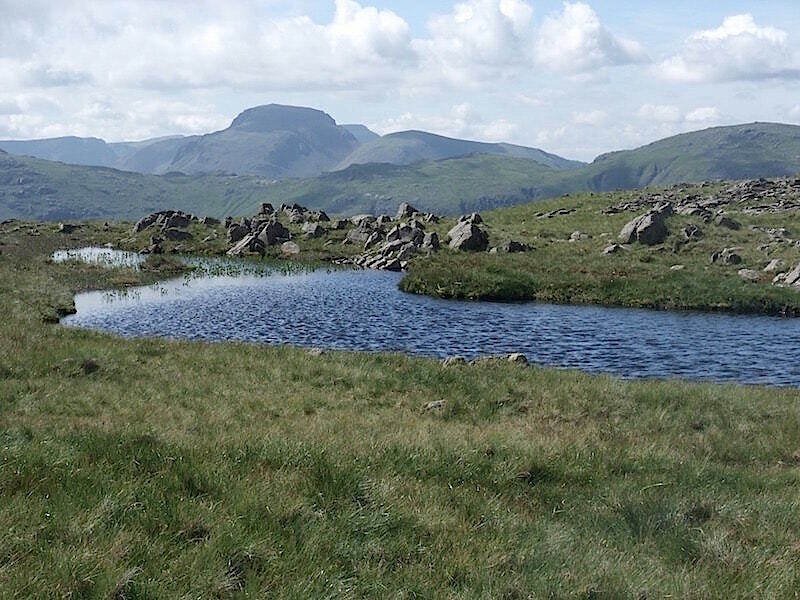 The Helvellyn range is over on the right skyline. 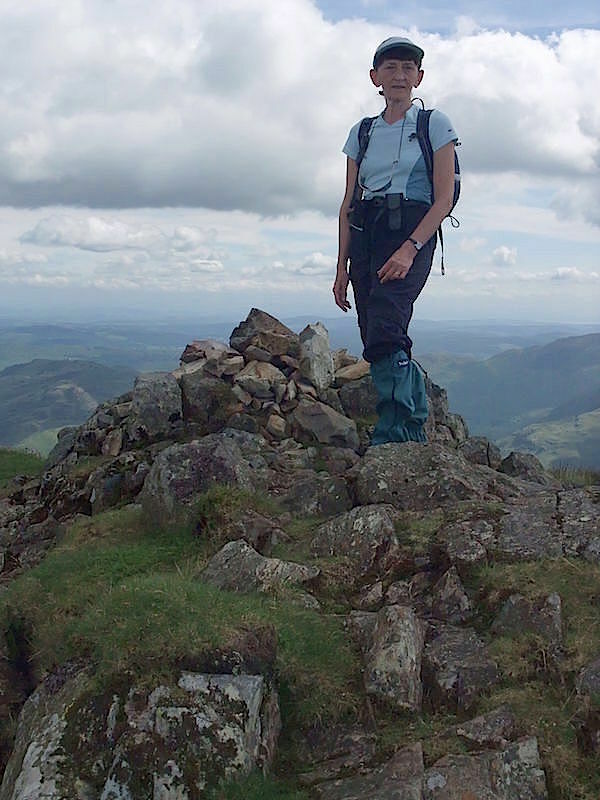 High Raise summit complete with trig point and wind shelter. 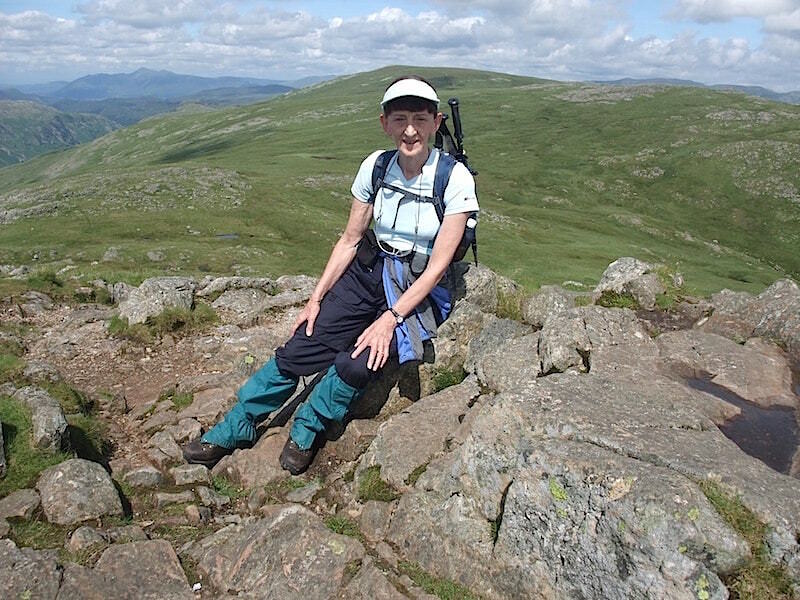 The shelter wasn’t needed today but we used it just to have a short break and a refreshment stop. 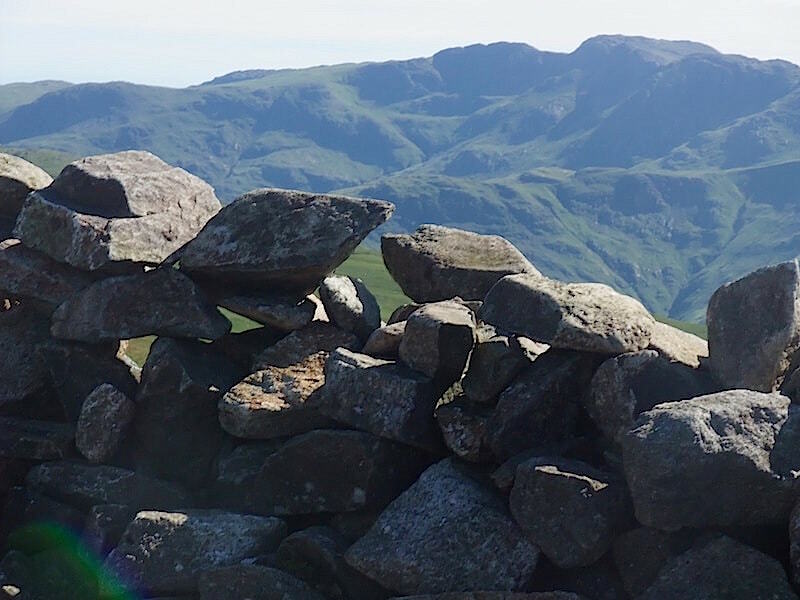 Scafell Pike, on the centre skyline, from the High Raise shelter. 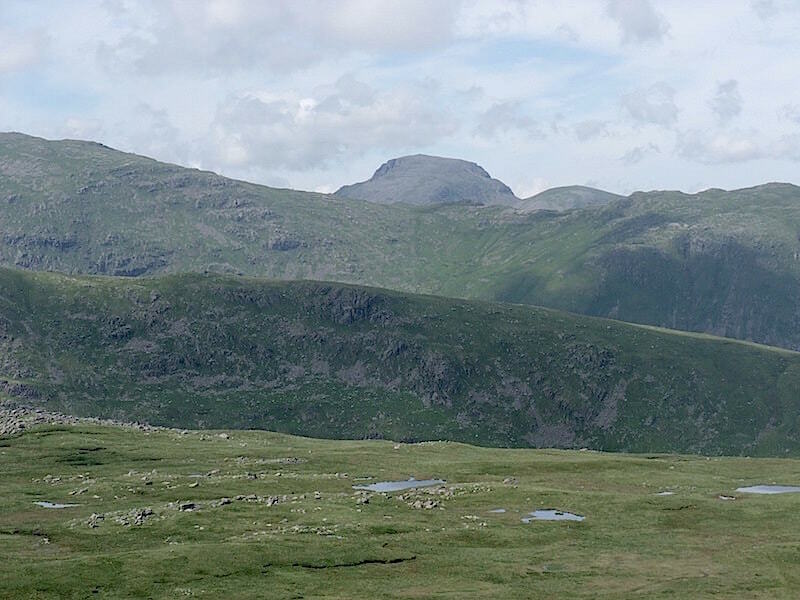 Bowfell from the same place. 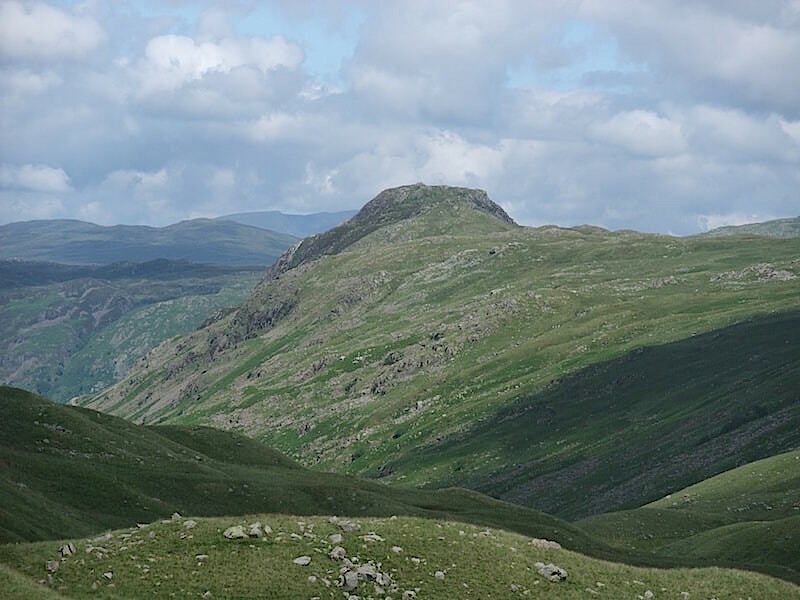 A little further to the left, Crinkle Crags, also taken from the shelter. 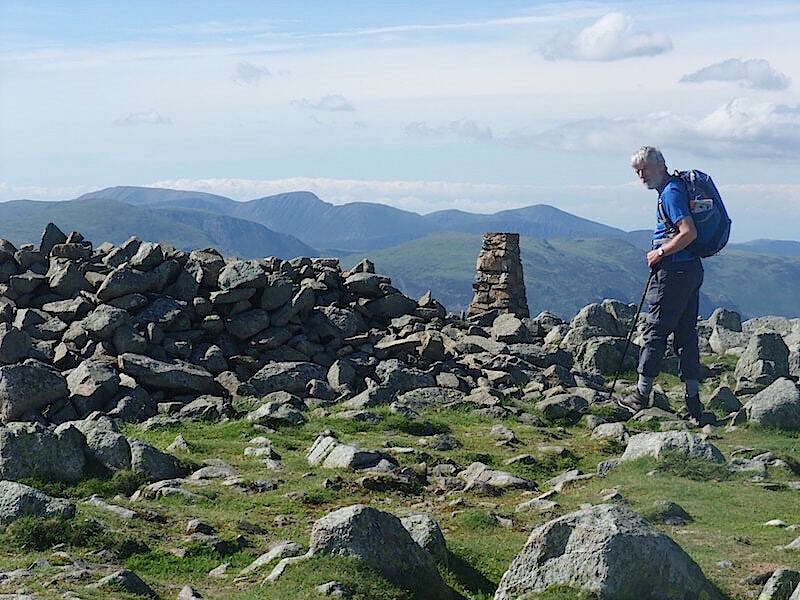 Skiddaw, over on the right, and Bass Lake, in the centre, from High Raise. 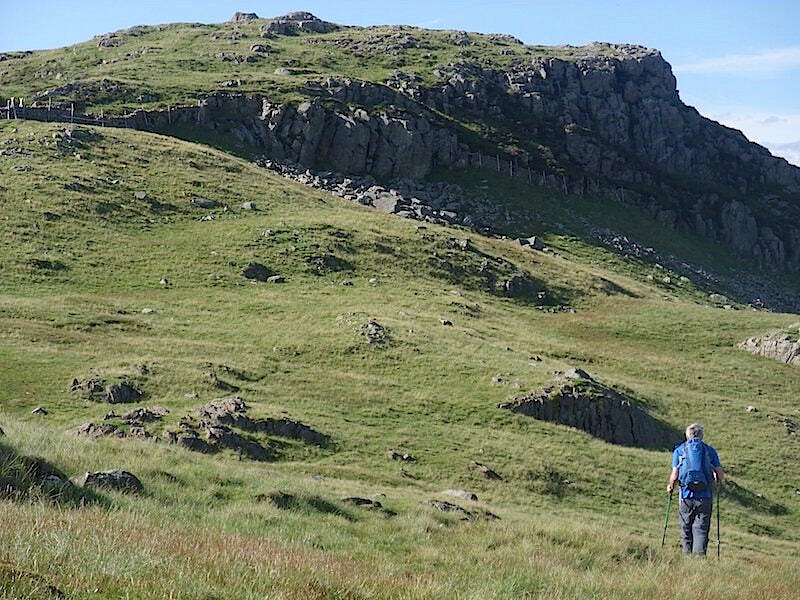 A close up of Sergeant’s Crag, left foreground, and Eagle Crag, right foreground, as we make our way down from High Raise. Getting across from one to the other is simply a matter of following the wall which runs between them. 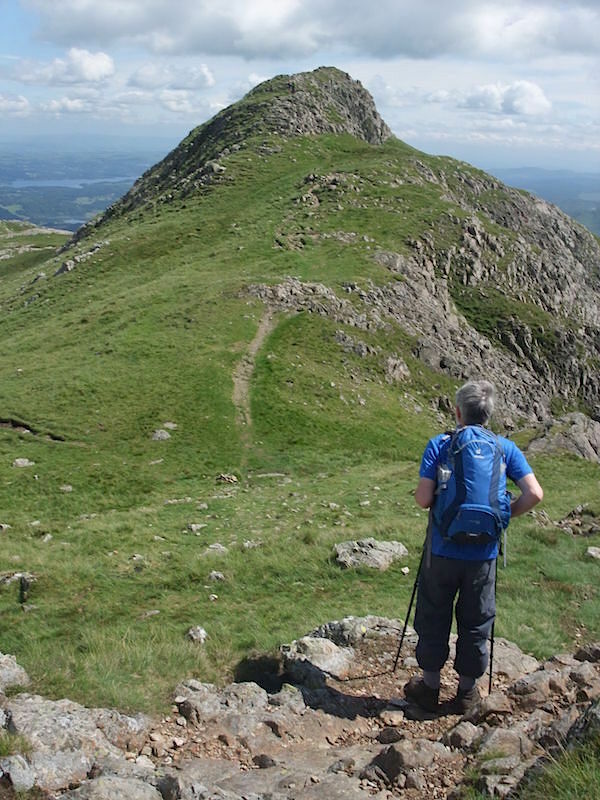 The pleasant grassy descent to Sergeant’s Crag and Eagle Crag. 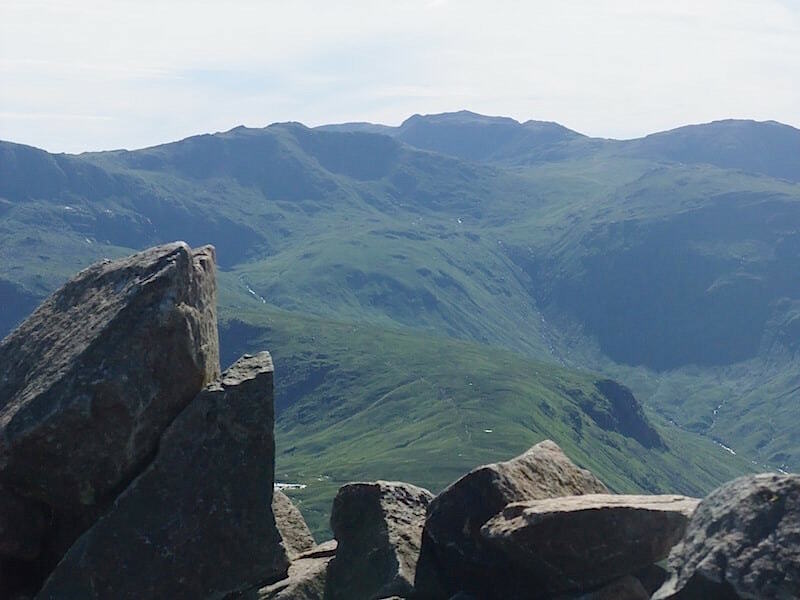 A closer look at Sergeant’s Crag with the Skiddaw group of fells over on the right skyline. 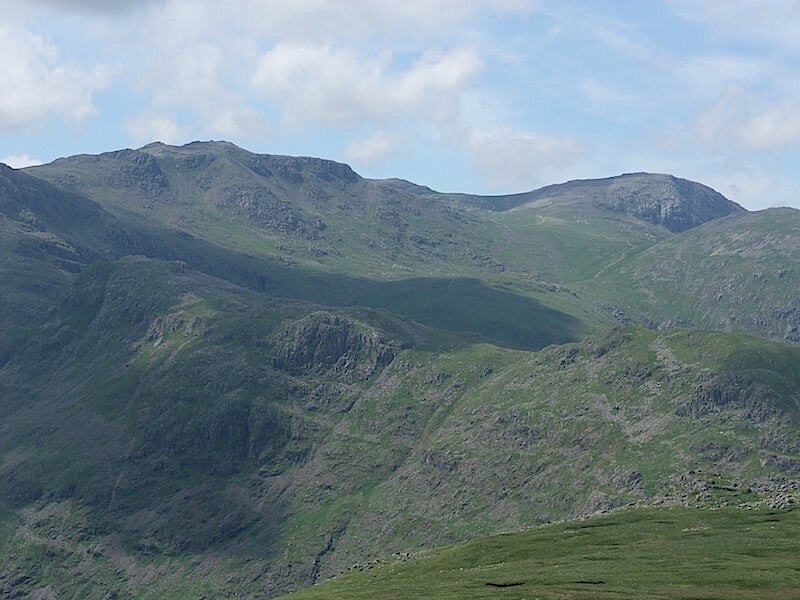 A look back to High Raise, on the right skyline, and the route we have taken down. 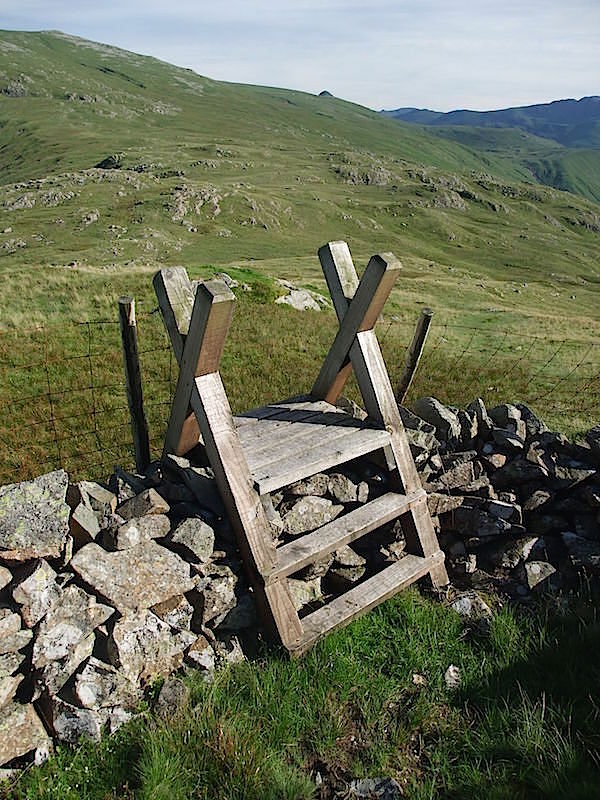 The long and short stile. Its only short on this side though, there’s quite a long drop down on the other side. 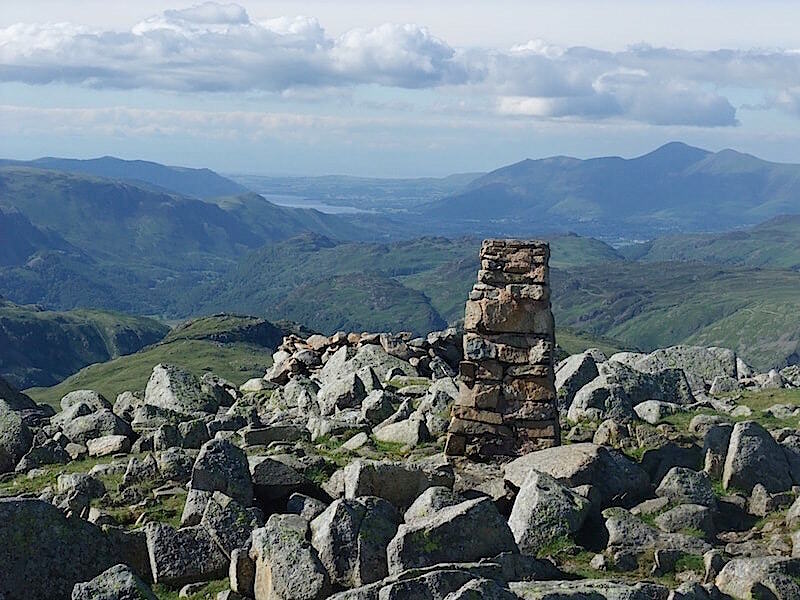 We’ve reached our penultimate summit, Sergeant’s Crag, from where its just a short walk over to …..
….. Eagle Crag and this view into Stonethwaite. 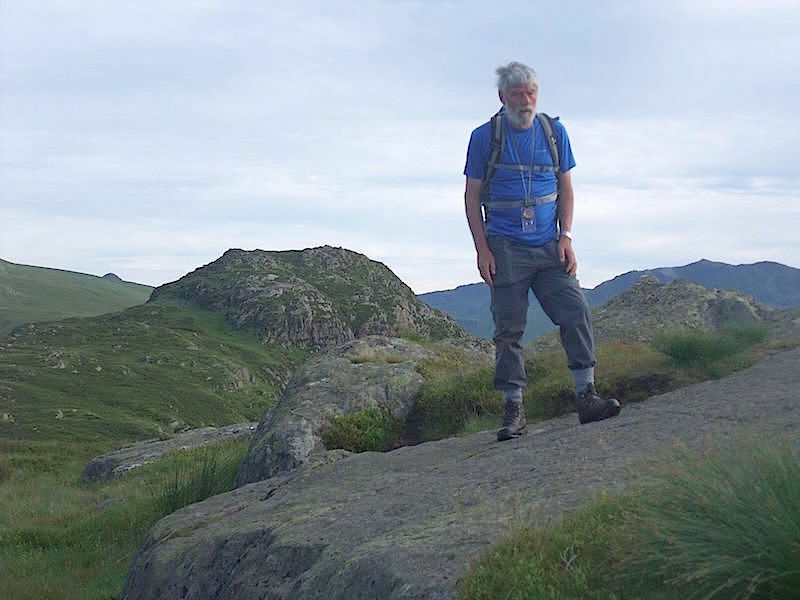 So here we are, at the end of a long hot day and a long walk, on our final fell, Eagle Crag. 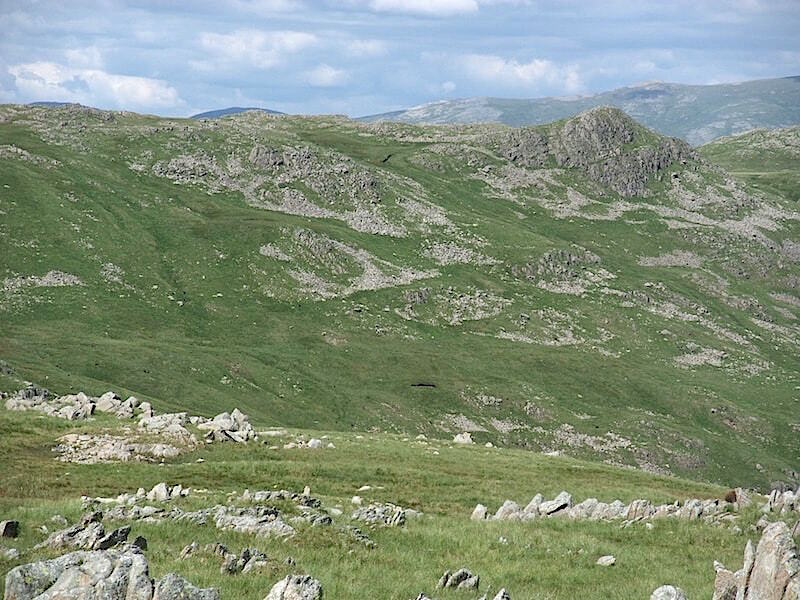 From Eagle Crag we take the long walk back to Stonethwaite down Greenup Gill. 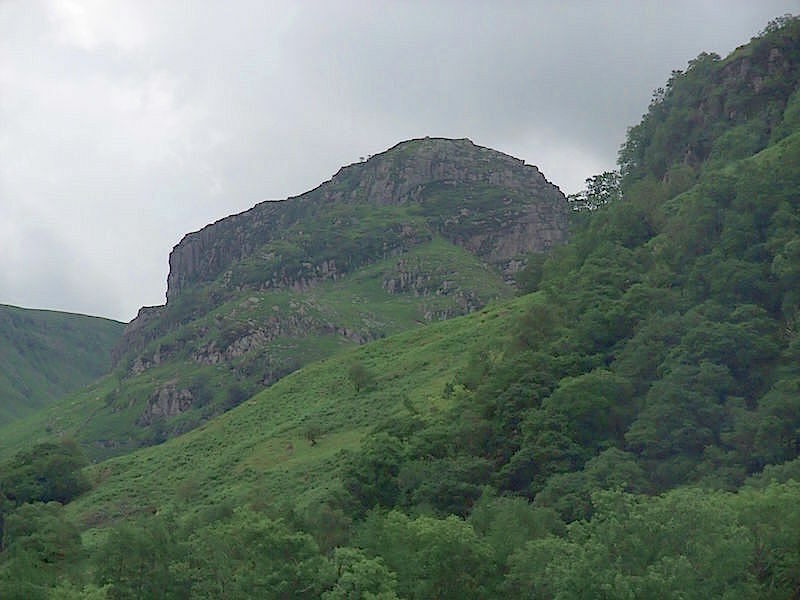 As we reach the valley bottom I take a look up at Eagle Crag before this particular view of it disappears. 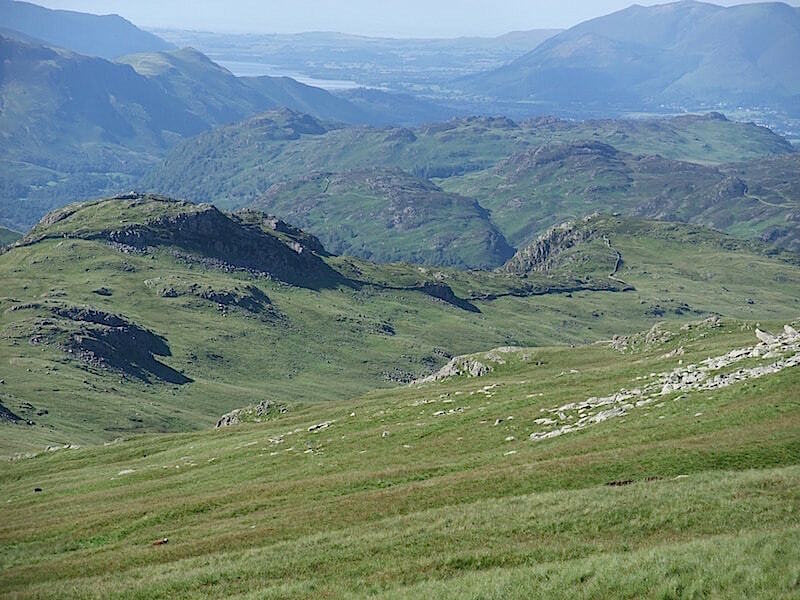 We’ve had a good day on the fells and we’ll round it off by stopping off in Keswick and treating ourselves to fish and chips from our favourite chippy, which we’ll eat sitting by the boat landings on Derwentwater while watching the sun going down. A great end to a great day.